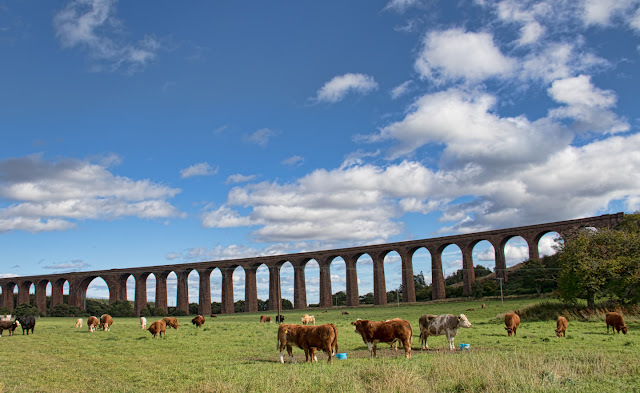 Cows ignoring a marvel of 19th century Scottish engineering, the Culloden viaduct, outside Inverness. I hate to cast aspersions on any creature, but I'm fairly certain that Flora, over there on the other end, has never wondered much about anything. 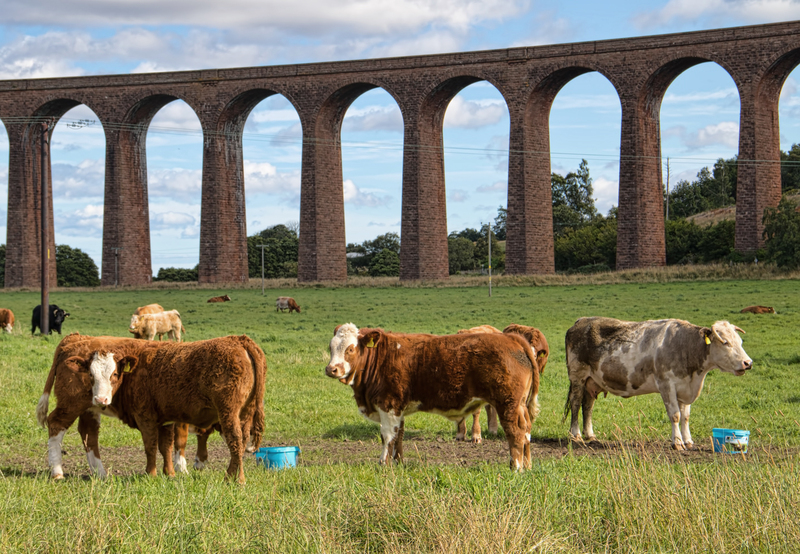 Even for a cow, she doesn't look all that bright.